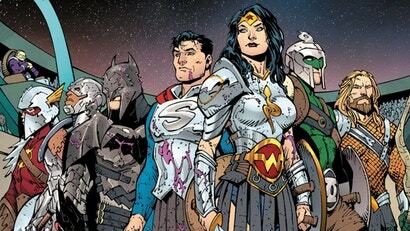 Earlier this week, DC Comics revealed a major, incredibly unexpected return of a character that many fans thought they'd never see again, thanks to the final page of Dark Nights: Metal #1. It was definitely a shocking moment in a comics event that's been promising to be a bonkers exploration of the DC mythos for a while now. But I'm here to tell you: This comic is so much crazier than you're imagining.